variety of non-profits in this area. 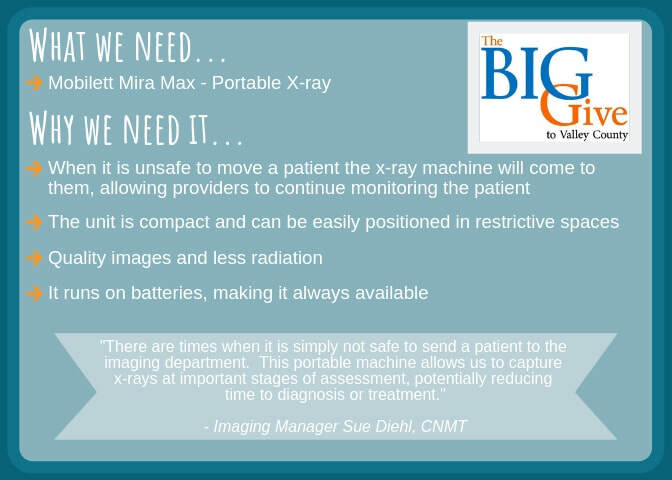 ​purchase of a new portable x-ray. Quality healthcare is part of what makes a great community. We can never take our quality of life for granted, and we should strive to work together to maintain and enhance it. On March 15th and 16th, your gifts helped make an impact. An additional $16,000 was generously given to help with the purchase of a Epiq 5G Ultrasound Machine. This machine was needed for quality images that are requested daily by both the VCHS Providers and our visiting Specialists. 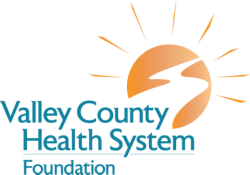 With your help we were able to give a total of $86,000 to provide for this need for Valley County Health System.